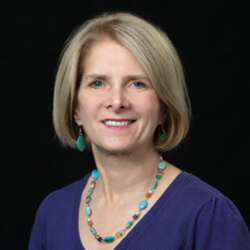 Marjorie Roberts received her BS in Nursing from the University of Wisconsin and her Masters of Science in Health Professions from Southwest Texas State University. She retired after 30 years of nursing to serve as President/CEO of Newton Laboratories, a manufacturer of homeopathic remedies. She studied homeopathy with the Academy of Advanced Complementary Medicine and received a DAHom from the American Academy of Clinical Homeopathy (AACH). Marge is an individual member of the Homeopathic Nurses Association and a corporate member of the American Association of Homeopathic Pharmacists and the Natural Products Association. She was the founding president of CAMA, the Complementary/Alternative Medical Association and spent many years advocating at the Georgia State Capitol on behalf of natural medicine. Marge lectures at community gatherings, universities, and national health-related events. In addition, she serves as an adjunct professor at Life University, teaching a two-credit undergraduate course on homeopathy. She is the author of My Body, My Health, My Choice, a book about complementary/alternative medicine and the health freedom movement. She has appeared on numerous television and radio talk shows discussing complementary/alternative medicine and issues of health care freedom. Educating and enhancing lives since 2010, the OM Wellness Institute has been empowering students and following out its mission of creating qualified health care providers, rooted in natural modalities and spiritual development. Template Design © AtakiSol. All rights reserved.